Caricature of Mr J. L. Toole at the Gaiety Theatre. Dated 9th March 1872. 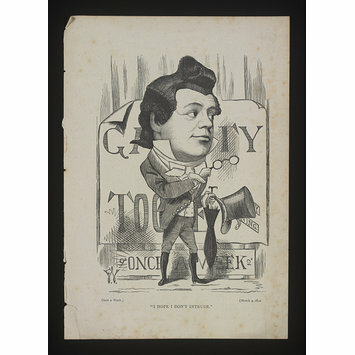 Caricature of Mr J. L. Toole at the Gaiety Theatre.